Selecting a cruising boat is one of the most critical_decisions in preparing for an offshore voyage. Obviously there isn't any single design that is perfect for everyone. Our concern is that you choose a boat that will be safe/ comfortable, well-built, and prove to be a good investment. Two of the most important points to remember when selecting a boat are size and cost. Few people realize that outfitting a boat for long distance cruising" can easily take 30* to 60* more than the initial purchase price. On a 35' new or used boat, this can mean an additional $15,000 to $20,000 just for essential equipment including additional sails, ground tackle, liferaft and safety gear. This amount excludes any optional equipment such as refrigeration, electronics, outboard motors, scuba gear, and autopilots. The common scenario goes like this: you overspend on the initial purchase of the boat, spend more money on optional equipment that isn't essential, then run short of funds once you've completed your initial provisioning and have actually started cruising. We speak from experience, having done this before! A more realistic approach is to spend less on the initial purchase by either purchasing a well-built used boat^or consider buying a smaller boat. Purchase the priority equipment first, provision the boat (or set aside $2,000 for it), set aside $500 to $1,500 per month for the period of time that you want to cruise, and then see if there is enough money left for the expensive non-essential but "sure would be nice to have" equipment. The size of boat that you select really affects your cruising costs, not only in initial purchase and outfitting, but also in cruising expenses once you're under way. Over 75% of the boats cruising for a year or longer are sailed with only two persons aboard, and from experience we feel that a boat in the 30' to 40' size range works out best for most people, especially if they are fairly new to sailing. The time and cost involved in keeping up a boat over 40* goes up exponentially and many people that have been cruising full time for more than just a couple of years opt for a boat under 40'. Eric and Susan Hiscock were an example of this, Wanderer IV being a 48' ketch, and Wandrer V a 39' cutter, which they found much easier to handle. Exceptions to these observations are folks like Steve and Linda Daschew, now double-handed cruising thier new high-tech 68' ketch, Sundeer. Steve grew up sailing on his family's 70' schooner and is comfortable sailing large, fast cruising boats with small crews. People cruising on larger boats often get stuck in the bind of having to depend on finding pick-up crew in different ports to be able to safely manage their boat on ocean passages. Crew problems are one of the most persistent and common problems on cruising boats. It's easy to find plenty of friends and family members that are excited about sailing with you when you first leave home, but as you get further away and airfare becomes more expensive, finding crew becomes difficult, and you may not be comfortable trusting your boat and life to people that you don't really know. Yon must be prepared to sinqlehand your boat. You or your partner/wife/crew may become ill (or even severely seasick) leaving one person to handle everything. In respect to this possibility it makes sense to have a boat vith manageable sized sails and a totally dependable wind-vane self-steering system and an electric autopilot as well. Fatigue is the #1 cause of short-handed or singlehanded boats being lost on the rocks or reefs while making landfall, so it is vitally important that you are able to handle your boat without help, and that your realize your limitations. In the initial purchase of your cruising boat you have four options: buy a new bqat, have a custom boat built, buy a good used boat, or build a boat. If financial constraints don't apply to you, the first option may be the most attractive. If your budget and time isn't quite so open-ended, a well-built used boat is the most logical option. If you can possibly find a boat that has already been outfitted and cruised, you'll save tens of thousands of dollars, as cruising equipment adds very little to the selling price of used boats. 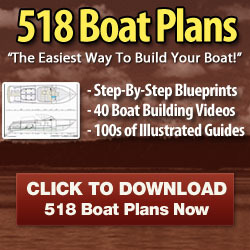 Home building, the last option makes the least sense unless you are an experienced boat builder. Very few people that we've met who have built their own boats would ever do it again. Many home builders never cruise their boats, enjoying the building process which generally takes three to ten years, more than actually cruising. Home-built boats are generally much more difficult to sell and may have a lower resale value than a comparable production boat. Used boat prices vary aeoaranh j^any. Boat prices in Southern California used to be the highest in the U.S., but tough economic times have really leveled prices out. Areas with the most depressed economies (New England, Great Lakes) often have the best prices, along with Florida, where many East Coast and some European cruisers end up, out of time or money. Pacific Northwest prices are firmer than in the past, possibly due to the fairly strong economic climate. When trying to figure whether it makes sense to purchase a boat out of your area, make sure to factor in trucking costs. We paid $2600 for trucking our 42' Mahina Tiare from Long Beach to Seattle, plus another $1000 for decommissioning, insurance and recommissioning. We were quoted approximately $6,000 to truck a 42' boat from Florida, and around $2000 from the Bay area to Seattle. The weakness of the dollar has made purchasing a boat overseas much less of a bargain than it was in 1984-85. For the first time ever, we've seen boat buyers coming from New Zealand and Australia to the West Coast, which is a 180 degree shift from past patterns. If you're interested in cruising a specific area such as Europe, and aren't that interested in the passages required to get there, purchasing a boat already there may be a good solution. When purchasing a boat overseas, try and stick with a builder that is well-known and possibly has dealers back in the States. This will mean that it will be much easier for you to sell the boat and that you'll probably receive a better price if you sail it back home to sell it. The cost of shipping a 35* boat from Europe or New Zealand to the West Coast is $10,000 to $12,000. Any U.S. Embassy will be able to provide you with temporary documentation papers. 1. Designs Was the boat designed for ocean sailing? Did the boatbuilder folio* the designers construction criteria? If at all possible, contact the designer before purchasing. Some Taiwanese-built yachts advertised as being designed by Robert Perry or Doug Peterson may actually be pirated designs. The designer is not paid a royalty and the builder often tries to save money by saves money by reducing structural integrity. Stay far away from these boats! 2. Builders is the builder still in business? (When considering a used boat) If 80/ call them up and ask them about the boat that you're considering, having ready serial number and date of construction. Does it sound like the builder will still be in business in three or four years if you need replacement parts or advice? 3. Row easily can the boat be sailed? Does it have a long and dangerous bowsprit? Low or excessive freeboard? A lot of weather helm? Is it very tender, will you be sailing to windward at 30 degrees of heel? will it have a comfortable motion at sea, or will it tend to hobbyhorse to windward and roll downwind? 4. Will the boat make a comfortable home? An ex-race boat that has fantastic sailing characteristics but is cramped, damp and dark won't be a good cruising boat since you probably will be underway less than a quarter of the time. 5. Row well can the boat sail to windward? Will upwind passages back home be impossible or extremely difficult? Will you be able to sail off a lee shore in an emergency? 6. How easily can the boat be made to self-steer? Is it unduly squirrelly? Is it easily balanced, and is the transom free of overhanging stern pulpits? 8. What is the weight carrying capacity of the boat, compared to your needs? Can the boat carry the additional weight of three anchors, a windlass and several hundred pounds of chain, as well as additional water (81bs./gallon) and fuel (61bs/gallon), a liferaft, dinghy and outboard? You'll be adding several thousand pounds of additional equipment, and if the boat you're considering is already on her waterline before you start loading cruising equipment you may end up several inches below the designed waterline, which can, on some designs be a dangerous problem. Boats that handle the weight the best are not real narrow at the waterline beam and have transom sterns without excessive overhangs. 9. Hull strengths Do the builder's boats have a history of severe osmosis problems? Two very good builders (Camper Nicholson of England and Uniflite, previous builder of Valiant Yachts) have the worst reputation for severe blister problems on certain models. Is the hull balsa-cored (problematic) or foam cored (great for insulation and impact resistance)? Is the hull thick and brittle from too high of a resin to glass ratio? This situation occurs most often with heavy displacement Taiwanese-built boats. 10. Deck constructions Are teak decks laid over plywood? If teak was laid over plywood, was sufficient bedding compound used/ or will you end up with thousands of small deck leaks where the screws are? Avoid balsa-cored decks like the plague. Unless every single screw or bolt hole in the deck has been made oversized and then filled with epoxy and re-drilled, saltwater will penetrate the balsa sooner or later, and the consequences are very expensive! If the boat has foam-cored decks, check all horizontal surfaces carefully for delamination by tapping with a small hammer. Do the decks provide adequate non-skid without being knee-grinders? If you plan on living aboard or cruising north of Santa Cruz, insulated decks will mean the difference between a damp, drippy interior and comfort. 11. Hull to deck joints Are there screws or nuts protruding on the inside? Is this joint totally sealed to prevent leaks? If this area looks like it may be a problem, it is possible to radius the inside of the joint with epoxy and microballoons and then lay several layers of fiberglass tape over the inside of the joint, totally sealing it and strengthening the area at the same time. This is a messy job, but anything is better than deck leaks. 12. Bulkhead attachment: Are the bulkheads adequately attached to the hull? On a fiberglass boat they need to be glassed on both sides with multiple layers of tape. This is often a problem area on mass-produced boats, with Islander 36's as an example. Are there internal stiffening systems, or is the interior woodwork just lightly attached to the hull, only to break loose after a few thousand miles of ocean sailing? Is there proper access to hull and deck areas, or do fiberglass liners make leak-stopping very difficult? 13. Chain plate load transmission: Are the chain plates going to lift the deck or distort hull, or is the load evenly spread out? 14. Mast support system: Deck stepped masts are great, if proper structural members transmit the load to the keel. Otherwise deflection and possibly delamination under the mast will occur. Check the mast for trueness - even with an aluminum mast. 15. Keel: If external ballast is used keel bolts attaching the keel to the hull must be accessible, and keel loading must be spread out through the floor system. Internal ballast eliminates some potential problems with keels, but check closely during survey for any voids in keel area between the ballast and fiberglass. 16. Rudder: How well is the rudder protected from logs and flotsam? Can the rudder take impact and grounding without jamming or being damaged? How easily can it be removed with the boat in the water for repair? Unprotected spade rudders are much more likely to be a problem. I know of three Swans that have lost their rudders between Panama and Tahiti in one year altone. 17. Engine: Is the engine a common make that will be easy to find parts and service for? How good is everyday access? Can the engine be removed without having to destroy the cockpit or companionway? Is there an engine hour meter and logbook showing maintenance history? What is the fuel consumption? Range under power? 600-800 miles minimum under power for long distance cruising where fuel may not be available for months at a time is nice. Being able to maintain at least six knots under power will get you in most passes and channels at the time of least current. When I bought Mahina Tiare, I thought the 25hp Volvo diesel engine was overkill for a boat that only displaced 9,500 lbs, but the top speed of 7.2 knots, cruising speed of 6.5 knots and maximum range under power at 5 knots of 1/200 to 1,500 miles was been great for entering passes and speeding up vindless passages. 18. Steering system and position: If the boat has wheel steering, is the system built by a reputable company like Edson where you know you'll be able to get spare parts and that the castings are all first class? One of the most common and serious problems with some Taivanese-built boats is in the steering systems; poor initial design, inferior bronze castings and rudders that aren't able to hold up to the stresses of ocean sailing. This isn't a problem on the more expensive imports like Norseman, Mason and Little Harbor. Is the steering position located where the helmsman can be easily sheltered without having to resort to a huge dodger? What is the visibility like? I personally prefer tillers on most designs under 38', there is just less to go vrong or have to worry about, and it's much easier for self-steering with less friction involved. 1. Fiberglass, like any material, can vary greatly from one builder to the next. The majority of fiberglass boats were never designed or built for extended ocean sailing and may eventually fall apart if pressed into this type of service. At the other extreme are some designs that are very heavily built, but are overweight and not good sailing boats. Some very good but not expensive cruising boats were the earliest fiberglass production boats, such as the Pearson Tritons, Vanguards, Alberg 35's and Countesses. After 25 years these boats are still going strong, and now worth double the initial selling prices. As with any type of boat, it is absolutely necessary to have a fiberglass boat thoroughly surveyed before purchase, including a check of the water content of the hull laminate with a moisture meter. 2. Steel is an excellent material for boatbuilding, and often the choice of sailors that have done extensive offshore cruising. The good impact resistance and total water-tightness of the hull, deck and fittings is a real advantage over other materials. With sandblasting and the new epoxy coatings steel takes less time to maintain than it used to, although it still requires more time and cost to maintain than a fiberglass boat. Two of the most attractive new cruising boats on the market today are the Amazon 37 and 44, built in Vancouver. These are powerful, fast and stiff boats whose hulls are extremely fair without the use of fairing. They are also extremely expensive. Look for the largest number of steel boats in Europe, with a few on the East Coast and in New Zealand and Australia. A poorly-built steel boat will have places on the inside of the hull that will trap water and allow the hull to rust through from the inside out. Access to every part of the interior of the hull makes checking for corrosion and painting much easier. 3. Aluminum is lighter than steel, though not quite as strong. Painted aluminum boats in the tropics seem to develop blisters in corners around welds after a couple of years, requiring an extensive and expensive repainting job. There are quite a few unpainted French aluminum cruising boats cruising around the world at any given time, and although their oxidized aluminum hulls may not be attractive, they seem quite practical. Aluminum suffers from electrolysis more severely than steel, so if cruising on an aluminum boat you'll want to be very careful about spending much time in marinas that are electrically "hot". 4. Wood boats often offer a lover purchase price/ although the cost and time involved in keeping them in good shape is more than with other materials. If you have a limited budget, and don't mind the additional work, a well-built wooden boat may be a good choice. Modern wood epoxy saturation (WEST System) technique produces boats that are lighter and stronger than traditionally built boats. The best areas to find modern cold-molded boats are in the Northwest, New England and New Zealand. In 1977 I sailed for several months through the South Pacific on a classic 39' Sparkman and Stephens sloop, and found out how much effort was required to maintain a wooden boat in top shape in the constantly changing weather of the tropics. The teak decks were so hot during the day that we either had to wear shoes of carry a bucket of water with us to wet the decks down as we walked forward, and although the boat was in top shape, deck leaks were just a fact of life. Teak decks also act as an excellent solar heat collector. The varnished teak cockpit and cabin sides were beautiful, but difficult to maintain. There are simply many more potential sources of problems on wooden boats in the tropics, perhaps that's why we see fewer of them every year. However, there is a special warmth an appeal of wood that some people find irresistible, whether or not it takes more care and maintenance. 5. Ferrocement is the only material that has no advantages. It is the most labor intensive material to build with, is difficult to impossible to finance, insure or repair, and has the lovest impact resistance of any material. 1. Fin keel/Spade rudder is the cheapest and easiest type of boat to build. This type of underbody is the most maneuverable and fastest on the race course, but the unprotected rudder is vulnerable to logs, rocks and coral. An example of this type of underbody is a Cal 40, several of which have cruised thousands of miles without problems. If your cruise involves any high latitude sailing or gunkholing in remote areas, this would not be the best design for your use. 2. Skeg-protected rudder, detached from the keel is better-suited for long distance cruising. The skeg protects the rudder to some degree, and makes the boat easier to steer. Examples of this type of design: Valiant 32, 40, Crealock 34, 37. There are the most suitable, well built boats of this type of design, and they are a good choice. 3. Modern cutaway full keel, with attached rudder and moderate displacement is my personal choice for cruising in isolated areas where groundings aren't uncommon and the nearest shipyard may be thousands of miles away. The cutaway forefoot allows the boat to sail faster, keeps it from tripping or broaching as soon under storm-running conditions and makes it more maneuverable than a traditional Tahiti ketch type full keel underbody. The fact that the propeller is enclosed in an aperture and the rudder is slightly above and protected by the full length of the keel make for fewer problems. Careening or hauling out in primitive boatyards is easy with this type of design. Examples of this type of designs Cape Dory, Freya 39, Nicholson 31, 32, Morris, earlier Hallberg Rasseys. 4. Heavy displacement full-keeled double-enders used to be a nearly automatic choice for long distance voyaging. However, yacht design has made some great strides in the past 25 years, and it seems sensible to take advantage of these improvements which make for faster, more comfortable passages, and smaller/ more easily handled sail plans without resorting to bowsprits and boomkins. An example of this type of boat is the Tahiti ketch or designs based on Norwegian lifeboats. 5. Multihulls have advantages and disadvantages/ like any type of boat. Their advantages include very little heeling or rolling, tremendous interior and deck space, making them great for living aboard and chartering. Another distinct advantage is that multihulls don't sink if holed, unlike ballasted monohulls. Their disadvantages for offshore cruising is that they are more weight-sensitive and overloading them can be dangerous, and than under extremely rare instances than can capsize. We are friends with two couples who are very happy after years of cruising their Jim Brown designed 31' and 38' tris, and have met an interesting Austrian couple that have cruised over 100,000 miles safely on their 60' cat. 1. Don't overspend on initial purchase price, save at least 40* of your total budget for outfitting, provisioning and cruising funds. 2. Realistically assess your needs in terms of size of boat and amount of equipment. Remember the KISS formula. More complicated systems mean more maintenance and spares to track down. Think moderate in terms of displacement and sail area - extremes, either ultralight or heavy displacement will be less comfortable or restrictive because of poorer performance. 3. Rave the boat carefully and thoroughly surveyed by a marine surveyor experienced in offshore boats. Best not to choose a surveyor recommended by the seller or yacht broker. You want to find someone who has no vested interest, other than making sure that the boat you're considering is safe and a good investment for you. Marine insurance companies and banks are often able to recommend surveyors whose opinions they trust. 4. If possible, find and talk with people that own sisterships to the boats you're considering. Cruising World Magazine's "Another Opinion" Service (1-900-988-2275 or 5 John Clarke Rd., Newport, RI 02840) is an excellent resource. Lets start by identifying what exactly certain boats are. Sometimes the terminology can get lost on beginners, so well look at some of the most common boats and what theyre called. These boats are exactly what the name implies. They are meant to be used for fishing. Most fishing boats are powered by outboard motors, and many also have a trolling motor mounted on the bow. Bass boats can be made of aluminium or fibreglass.